Posted February 28, 2013 in Uncategorized. 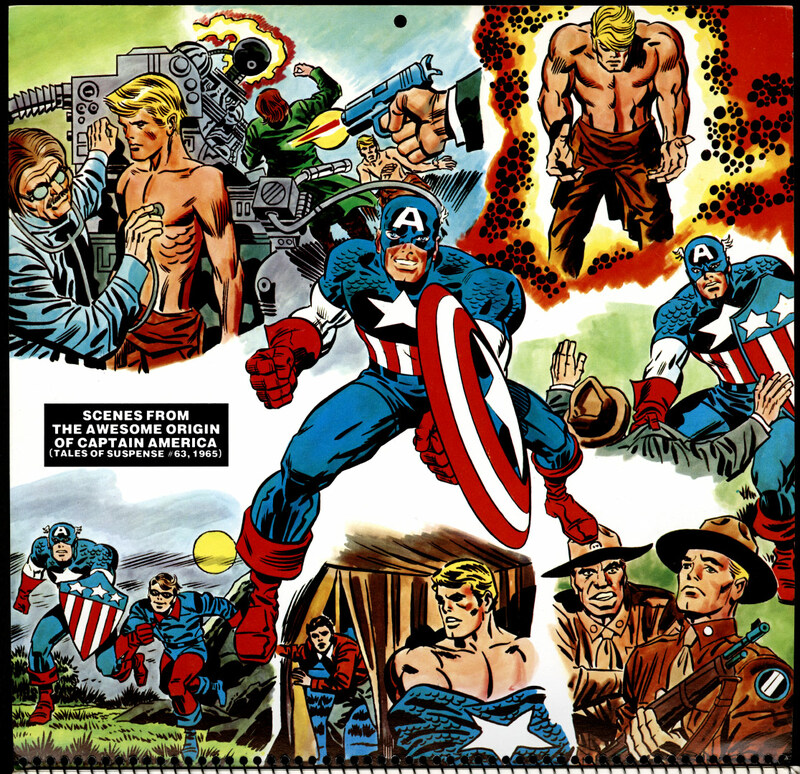 Great splash; awesome page 2 and 3 spread (click on the image to enlarge it, and you’ll get the full impact 0f illustration); and a few other pages from the Captain America # 194 (Feb 1976). 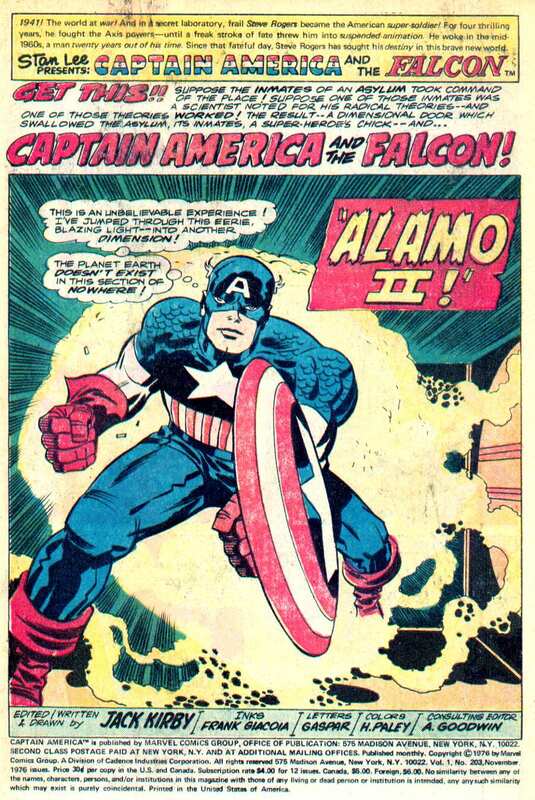 Love that 5th panel on page 23 of Cap and the Falcon screaming surrounded by crackle. 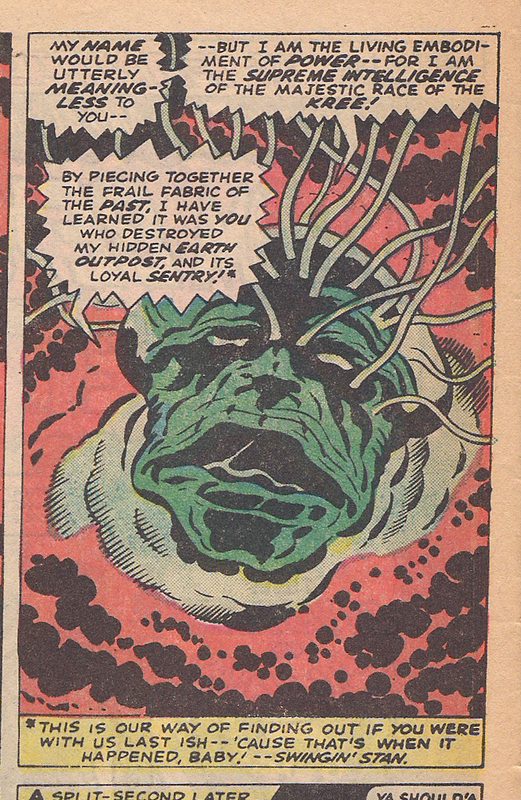 Classic 70s Kirby. Posted February 27, 2013 in Uncategorized. I think that’s it for the mailbag. If I missed your email, please send it again and I’ll try and post it soon. 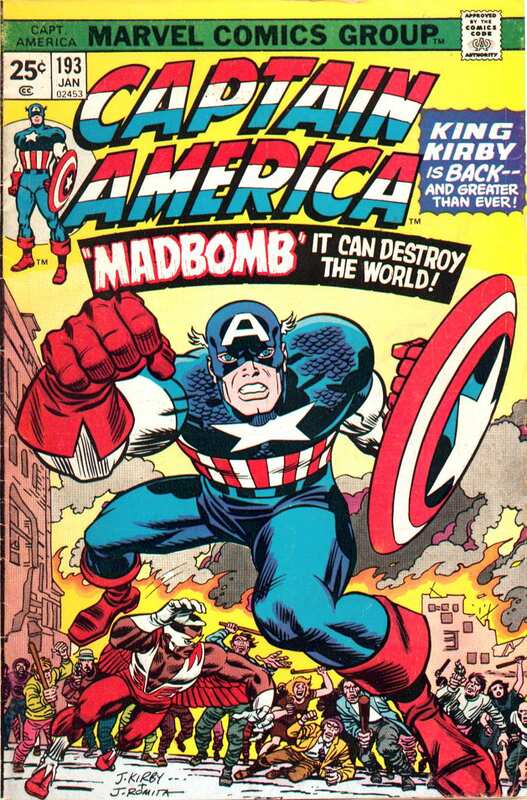 Classic Kirby splash. I wonder if Marvel fans were glad to see Jack back. 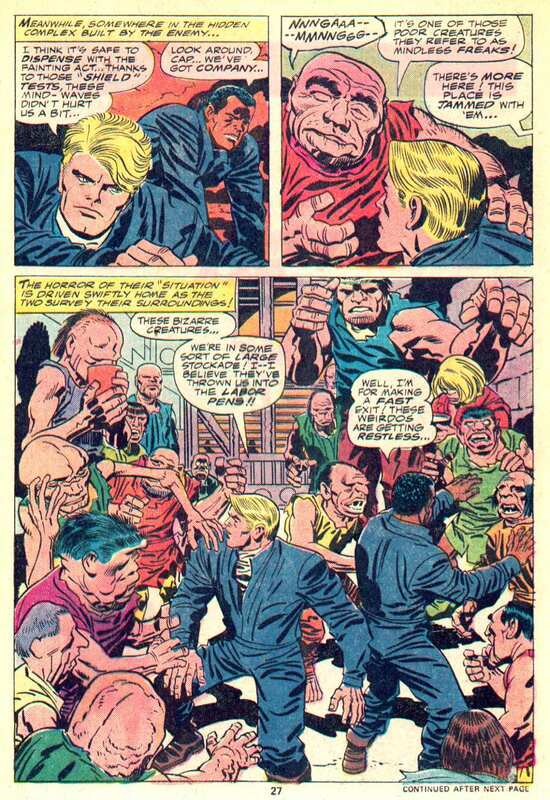 I wasn’t a fan of Giacoia inks as a kid, but I’ve learned to really appreciate his work on Jack’s 70s material. 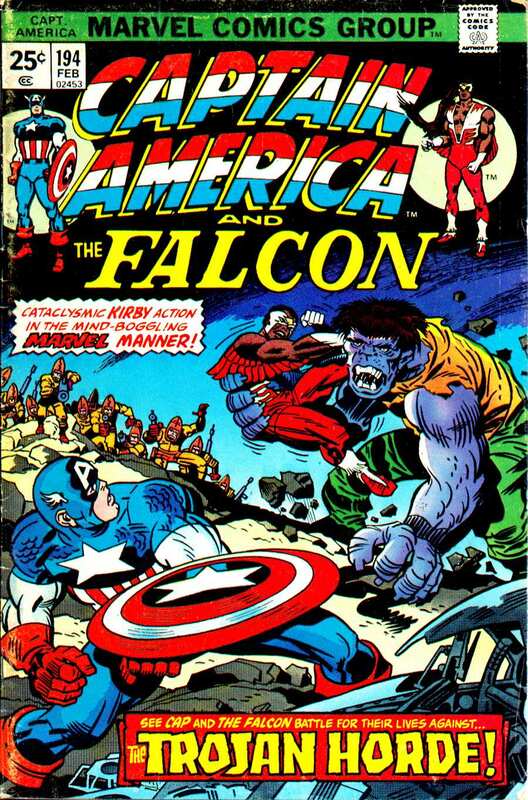 I love how panel one visually shows you that Cap and the Falcon are friends, literally clasping hands, but still competitive. Jack conveys a lot of information about the family atmosphere between Cap, Falcon and Leila here. 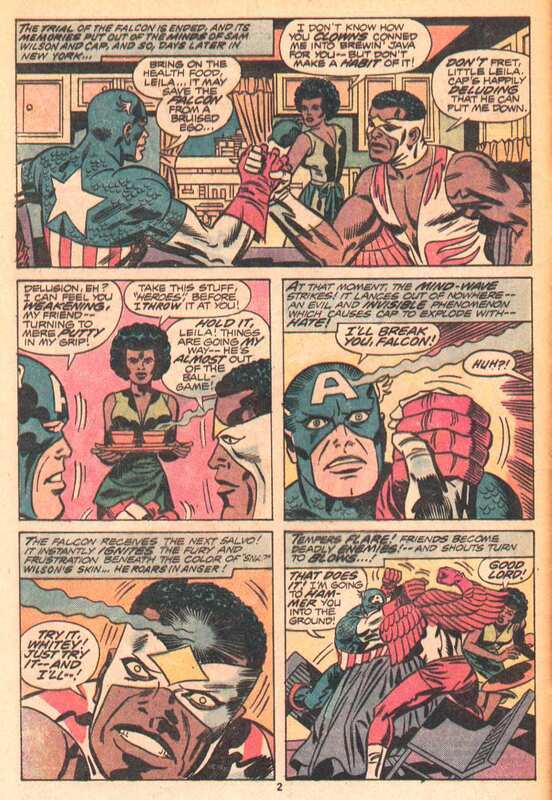 That fourth panel where Falcon says “Try it whitey!” is a trip. 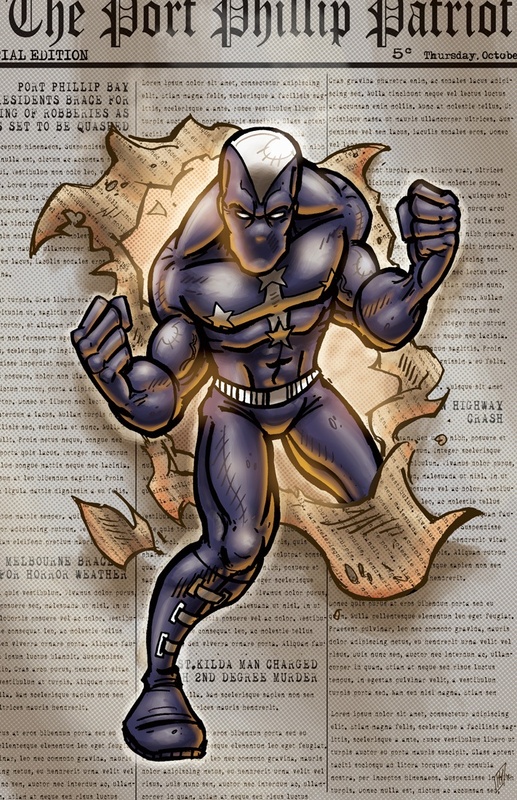 I’m kind of surprised the PC police at Marvel didn’t white that out. This whole book is pretty violent. Maybe Jack introducing his own sense of realism into the series. Posted February 26, 2013 in Uncategorized. Here’s another email from the mailbag. Thanks to Andrez for sending this in. Tokyo-based Australian expat writer/journalist Andrez Bergen here… nice to touch base as I really like and respect your Kirby Dynamics page @ the Kirby Museum site… and the King who inspired both. I’m the author of the noir/dystopic/sci-fi novel “Tobacco-Stained Mountain Goat” (2011) and the more recent surreal/slipstream/noir “One Hundred Years of Vicissitude“. Thought you might be interested to know I’m also currently working on novel #3 — which is a comicbook/noir homage. 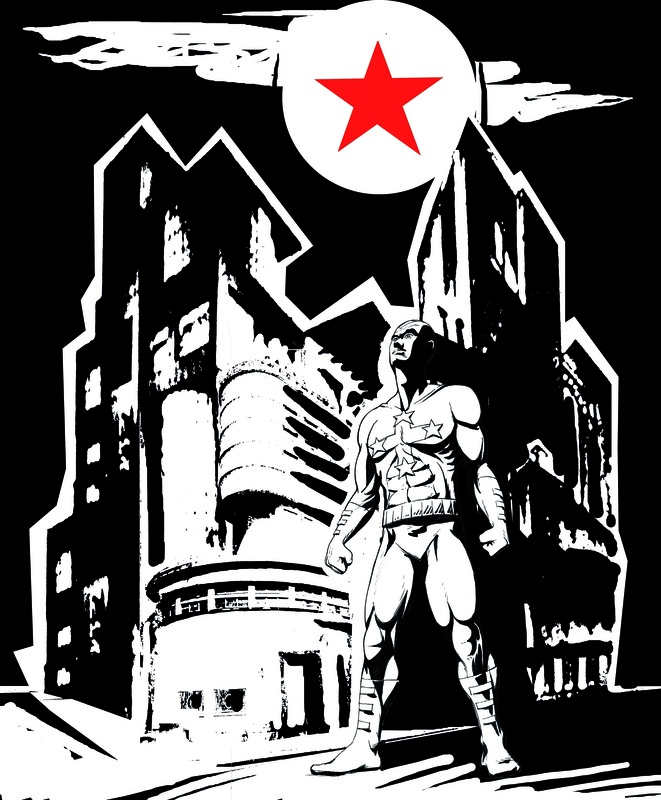 This one’s called “Who is Killing the Great Capes of Heropa?” and is a futuristic/retro superhero romp that mixes and matches 1930s Art Deco architectural lines with gung-ho Soviet formalist propaganda style, twisted into 1960s pop art sentiment and the huge influences of Jack Kirby. 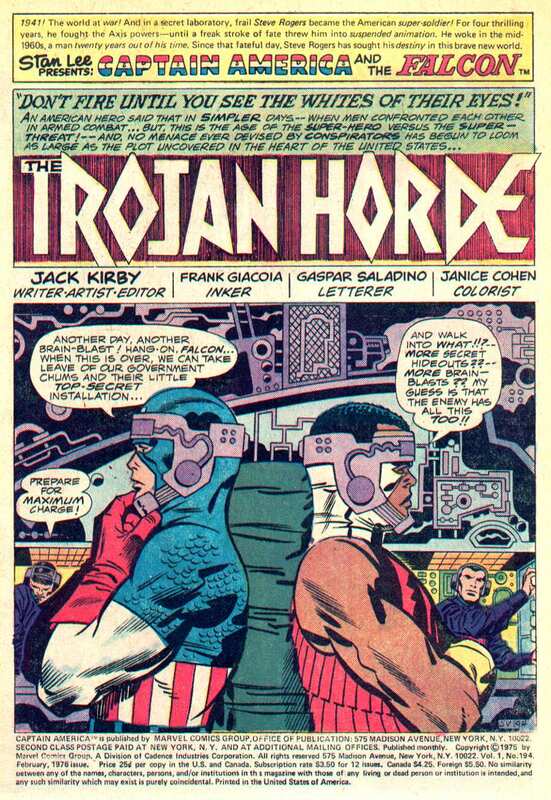 Think golden and silver age American comics channeled unto a dystopic future via Japanese manga, and then skewed by the ’60s comicbook legacy of Jack Kirby, along with Stan Lee, Roy Thomas, Jim Steranko and their ilk. The novel has just been finished @ 97,000+ words and is currently with the publisher. The novel will be partially illustrated. I wanted a more professional take on the visual concept and I also liked the idea of disparate visions of the same person — it’s the way comicbooks, after all, work in the real world. Bryan Hitch’s perception of Captain America in 2009 was far different from John Buscema’s in 1969, and this is one reason I asked artists from the UK (Harvey Finch & Andrew Chiu), Italy (Giovanni Ballati), the USA (Dave Acosta), Japan (Yoko Umehara & Kohana Yamadera), Russia (Saint Yak) and Australia (Paul Mason) to get involved. Posted February 25, 2013 in Uncategorized. Here’s another email from the mailbag. Thanks to Kendall for sending this in. Let me know if you have any questions or would like additional details. Posted February 24, 2013 in Uncategorized. Thanks to Kristian Nordestgaard over at the Kirby Museum Facebook page for sending in this link regarding the post where I talked about the white-out comics artists used in the 70s. Great article. Can you imagine a world without white-out? Bette Nesmith Graham was a secretary who used her own kitchen blender to mix up her first batch of liquid paper. Posted February 23, 2013 in Uncategorized. 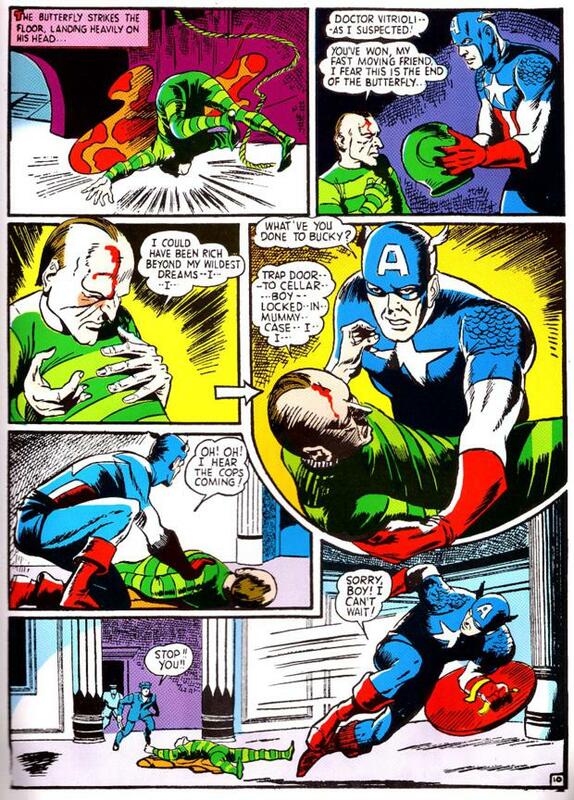 I believe this is the original source for the Cap image in the Magazineland feature, albeit, in a retouched state for presentation in the article. Thanks Edward. 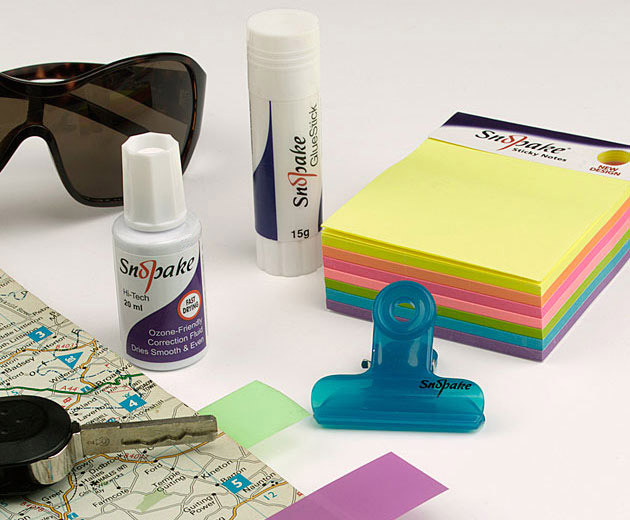 The images are really similar, but I can see some subtle differences in both as well. 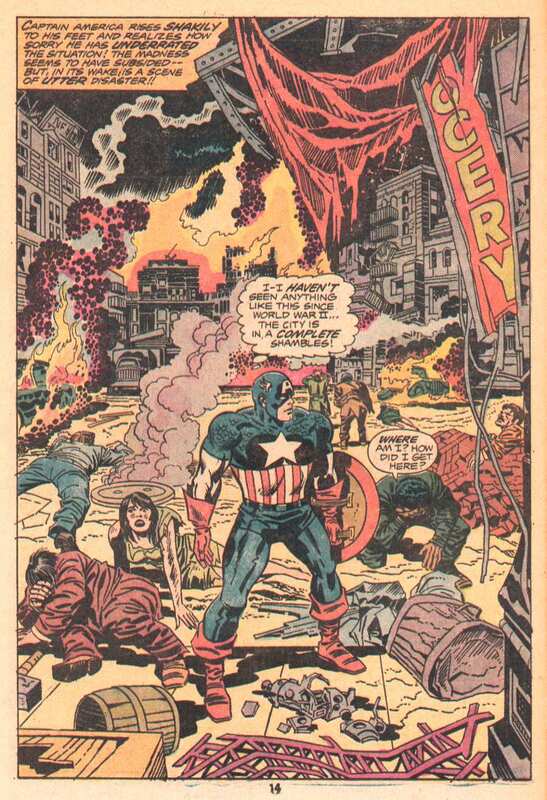 It’s interesting because I think this image from Captain America # 203 (Nov 1976) was probably the source composition for the central Captain America figure in that calander image, it’s just that some changes have been made like having Cap smiling. 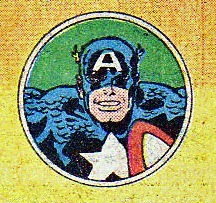 It looks familiar, I just can’t quite put my finger on where exactly I saw it before — maybe it was originally used for a Marvel promo, or an advertisement where Cap is selling Ho-Hos or something, or a Marvel sticker, and then it was cut and pasted in the Magazineland USA 1977 book. Thanks to Edward for sending in that link. 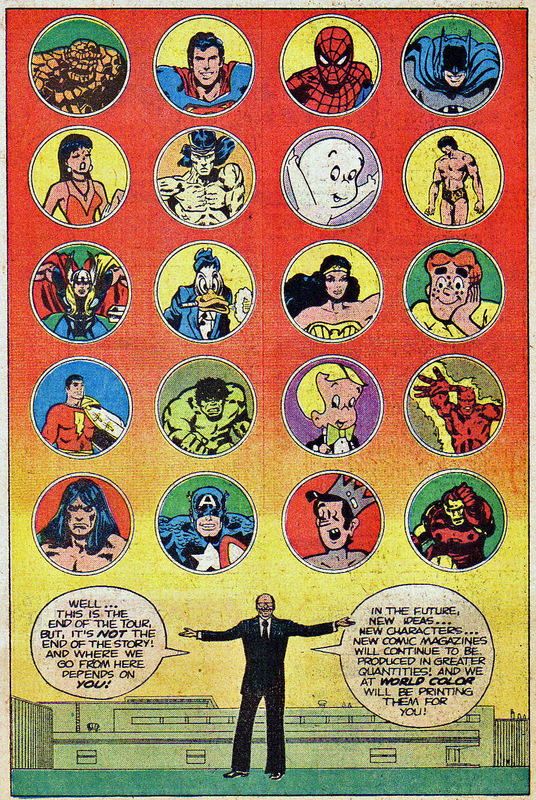 Great example how Kirby characters and compositions were cannibalized during the 70s for 1000s of various projects. Posted February 22, 2013 in Uncategorized. 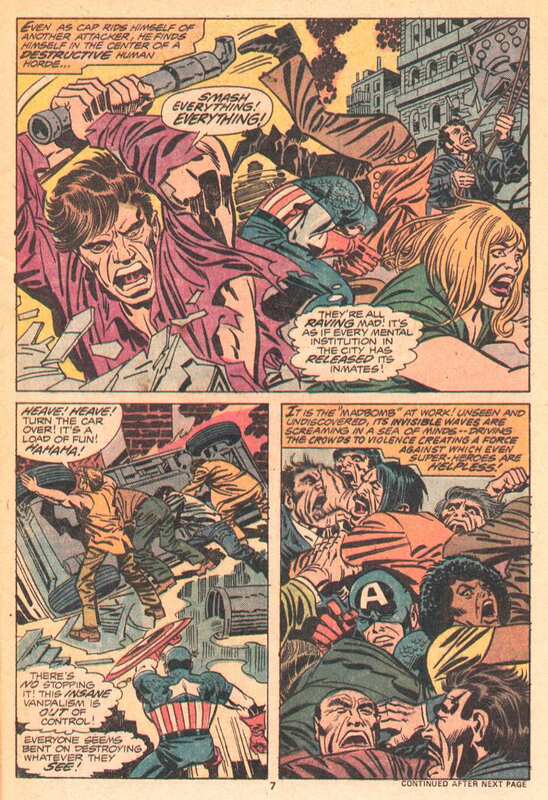 Thanks to Chris for pointing out that’s a Kirby-drawn Captain America on this page. Or is it? Could that be by Romita? 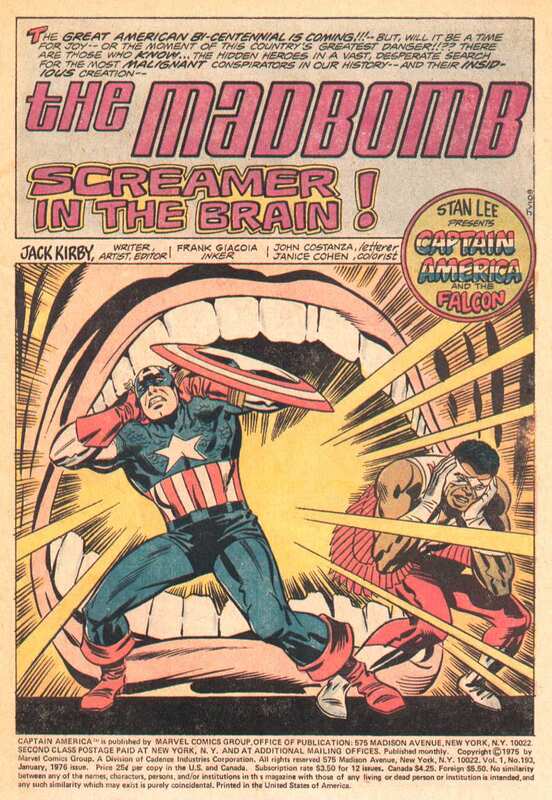 Any of you eagle-eyed experts out there know the original source for that Cap image? Posted February 21, 2013 in Uncategorized. 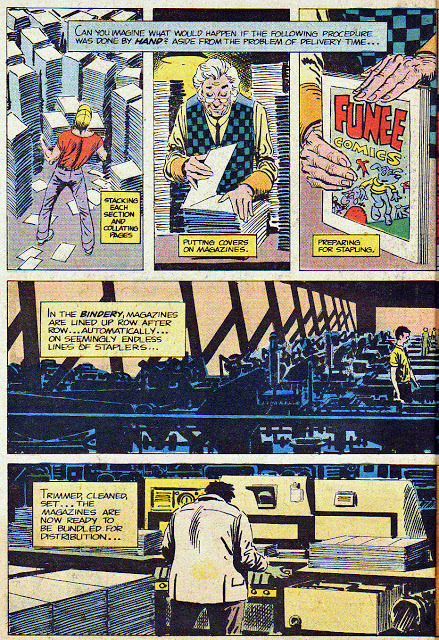 Wonderful little glimpse into the 70s and comics publishing. I thought it was funny that the author of the blog, Rick Diehl mentioned here: magazineland blog war that comic book blogger 20th Century Danny Boy is still up to his old tricks cutting scans and pasting scans on his blog without giving the original site any credit. No wonder online comics scholarship is such a joke if bloggers like the 20th Century Danny Boy can’t even mention where they steal entire webpostings. This book sure brings back a lot of memories. 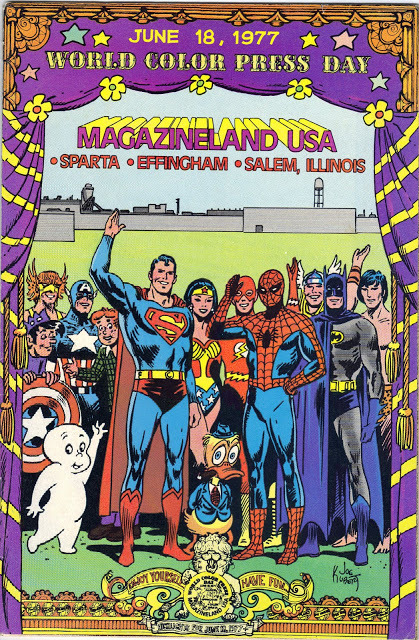 I had a copy of that 1977 Magazineland USA comic when I was a kid, I took it to elementary school where I was going to give a show-and-tell on how comics were made. I left the comic on a shelf in a classroom and over the weekend some kids broke into the school, were smoking and playing with fire, and they burned part of the school down so I never saw the book again until now. Kubert does a nice job illustrating the process. One of my Grandmother’s neighbors worked at the Sparta plant in Illinois, and one summer when I went out to visit, she gave us a guided tour throughout most of the plant back in the 70s. Kubert’s depiction of it is exactly as I remember it. Great times. Posted February 20, 2013 in Uncategorized. Posted February 19, 2013 in Uncategorized. 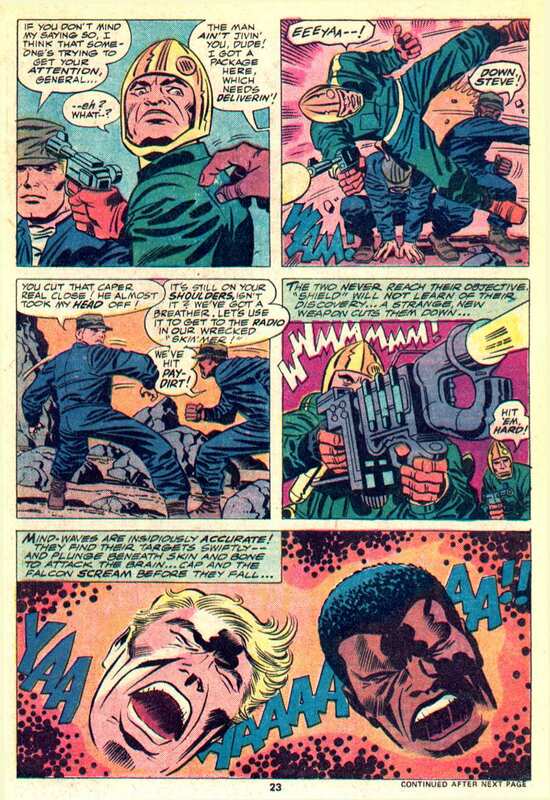 Comicbook resources has a cool segment, about whether Kirby ever used blood in comics. There’s also another thing about (possibly) what Juggernaut could have looked like. 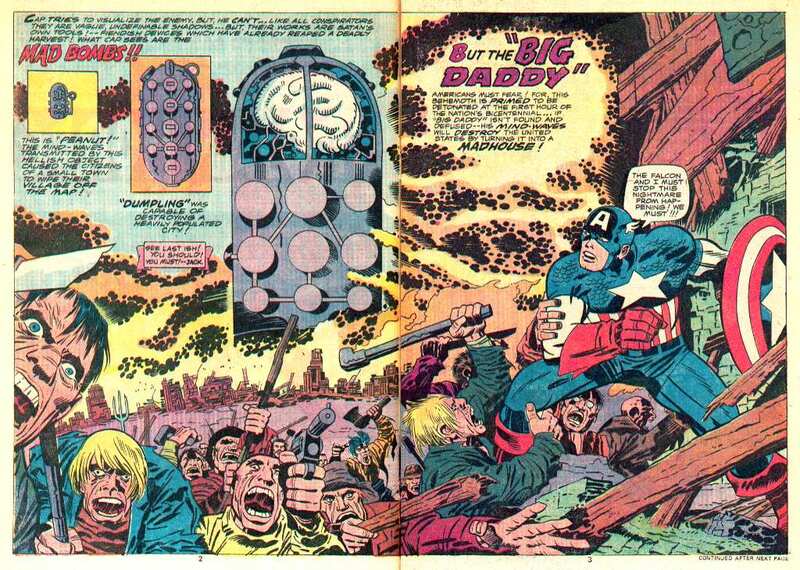 (Did Kirby ever work with blue pencils? If not, then this might be fake. Interesting question because I don’t ever recall reading about Jack using a blue line pencil. It looks like Mike Gartland used a light box to trace the blue-line image beneath a paste-up on that page. So my guess would be that Jack did his Juggernaut design first using a regular pencil on a separate piece of artboard, and maybe Alex Toth or whoever illustrated that image on the left used Jack’s original design as a template, maybe making some changes. 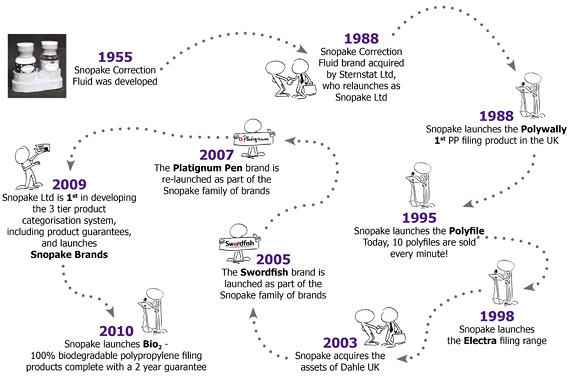 It is amazing how significant the changes were though. I wonder if maybe Toth did the first design on the left, Lee wasn’t satisfied with it and he had Jack redesign the costume resulting in the one on the right? Or it could have been the other way around. The whole article by Mike Gartland is worth reading. 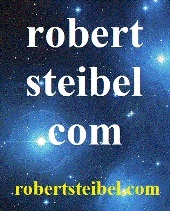 Blog articles are © 2010-2013 Robert Steibel. All rights reserved.